What do you get when you conduct business with one of the world’s largest French based companies? A really posh party and lots of wine- so tres chic! Fareva is one of the leading cosmetic and pharmaceutical contract companies in the world, and their manufacturing plant just so happens to be nestled right here in our beloved Richmond, Virginia. It’s owned and operated by French business mogul, Bernard Fraisse, who loves nothing more than celebrating success with good company and even better tasting grapes. Glint Corporate was hired by Fareva to plan an exclusive ribbon cutting ceremony in honor of their brand new, top of the line aerosol manufacturing plant where products like spray-on sunscreen and dry shampoo are to be made. The event was very high profile including local and state representatives, Fareva’s leadership team and other executives from supporting companies. The event was held in the heart of Fareva’s facility where many of their dedicated employees devote their time and hard work: the plant. 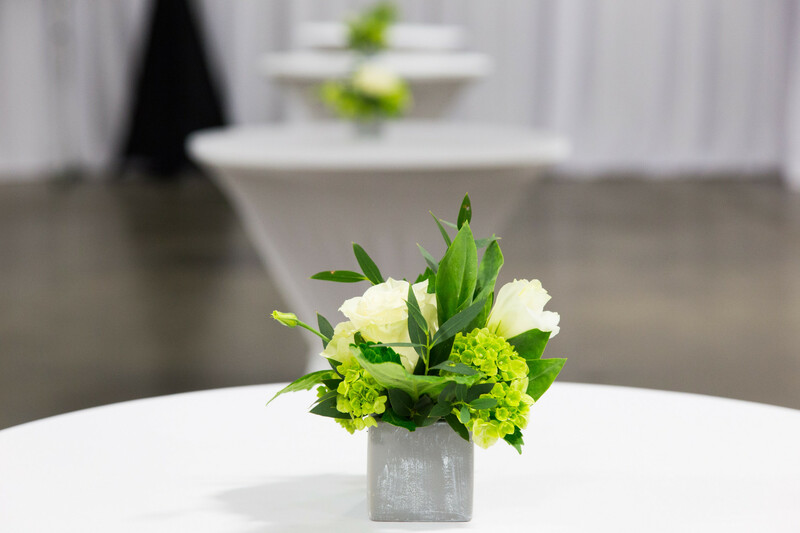 We aspired to create a clean and polished event space that offered guests a formal feel complete with a red carpet and fun step and repeat for endless photo ops. The highlight of the event, however, was a behind the scenes tour of the actual aerosol plant with insight into how the aerosol products would actually be produced. Additional high points of the day were the captivating speeches given by Bernard and Thibaut Fraisse, son and heir to the company, as well as delicious food and endless amounts of wine and champagne. And none of this could have been done without the help of our fellow vendor friends who we are always so grateful and appreciative of! Check out the gallery here to see awesome pictures from the day taken by the talented Michael Simon Photography!